What really amazes me about these letters...this was before email, y'know? This dude had to write out this letter, put it in an envelope, put a stamp on it, go to a post office, and send it off. 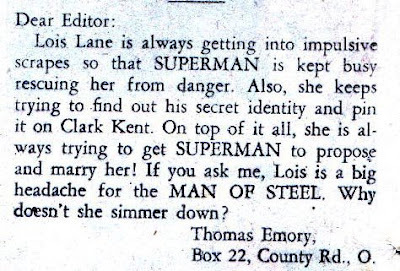 And yet, it was important enough to him to get this message to the editors.